As the summer heat hits, the MMO releases generally slow down. Most of the time, summer is a time of big updates and patches for currently released MMOs with game and expansion releases often being reserved for the upcoming Fall months. 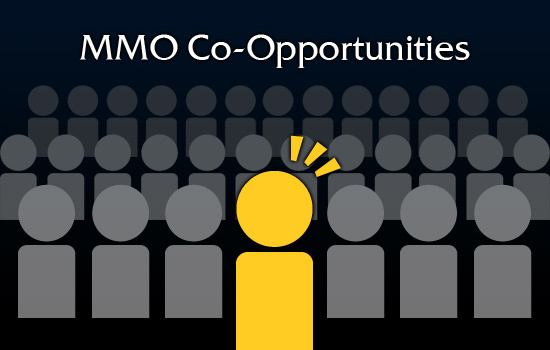 Accordingly, this month’s MMO Co-Opportunities issue looks at some updates of games that are currently out as well as news on games on the horizon yet. This month we look at Guild Wars 2, Neverwinter, and Elder Scrolls Online. Last month, I did a traditional MMOCO issue on Neverwinter, the free-to-play MMO by Cryptic, that has been in open beta for a bit over a month now. Recently, they announced their official launch date (June 20th). All characters, levels, and items will remain untouched in the transition from open beta to launch, but some new features will additionally be added to the game. Perhaps most exciting is the addition of the Caverns of Gauntlgrym, a special end-game dungeon for max level characters. It features a PvEvP mechanic where both PvP and PvE action will be available for epic gear rewards. Players must be part of a guild to participate in Gauntlgrym as their guild must be aligned with a faction to determine player opponents. This will be a massive 20 versus 20 battleground. You can check out the breakdown of how it works in the video below. Since its launch last Summer, Guild Wars 2 has been no slouch when it comes to in-game events. The latest announced is the upcoming Dragon Bash, set to run June 11th - June 18th. The event will host minigames (Moa Racing and Dragon Ball) as well as opportunities to find treats throughout the world. Players will attend the fireworks finale on June 17th will also receive a special cosmetic hat - the Horns of the Dragon. You can check out the trailer for the event below or find the schedule of the event on the Guild Wars 2 Official Site. Page created in 0.7804 seconds.